Sarah Cornford’s 7 foot ‘Extinction’ silk screen print in progress with Justin Sanders. Below is a compiled list of potential research visits to labs, printshops by BCU Margaret Street School of Art Printmakers, Researchers and Associates. Originally part of the old Isleworth Film Studios, the building is now home to Coriander Studio, The Curwen Studio and Huguenot Editions. 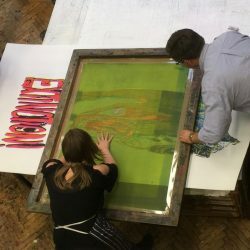 Studio offers artists and publishers full access to a variety of printmaking techniques with experienced master printers and their studio assistants hand–produce every project. 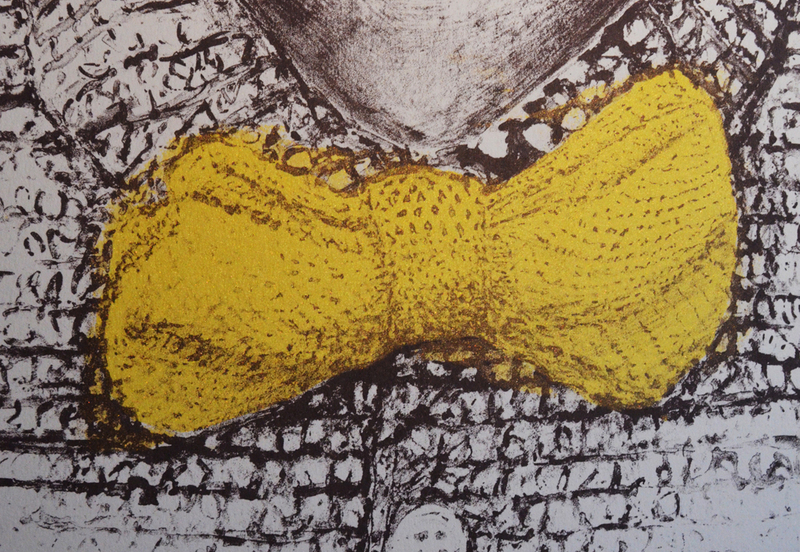 Collaborating with artists new to the medium as well as accomplished printmakers. We welcome challenges in making all work possible.